Prison justice is dispensed in Riot in Cell Block 11. 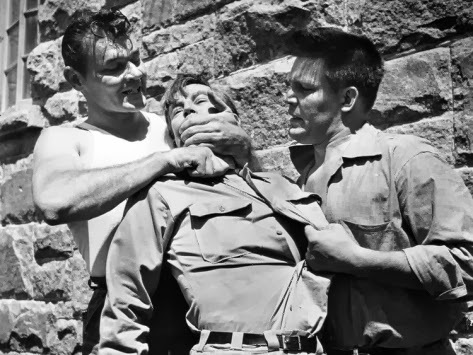 Early in his career, Don Siegel (Invasion of the Body Snatchers, Private Hell 36) made his mark with 1954’s Riot in Cell Block 11, a sensational and high-octane low-budget film noir crime drama set in a maximum-security penitentiary. The brainchild of producer extraordinaire Walter Wanger (Foreign Correspondent), the hard-hitting film is a ripped-from-the-headlines social-problem picture about prisoners’ rights that was inspired by a recent spate of uprisings in American prisons. In Siegel’s hands, the movie is at once brash and humane, showcasing the hard-boiled visual flair and bold storytelling for which the director would become known and shot on location at Folsom State Prison, with real inmates and guards as extras.